Help get the Den ready! Auchenblae Parks Committee have announced their 2015 annual Den Work Day, and are appealing for lots of volunteers. 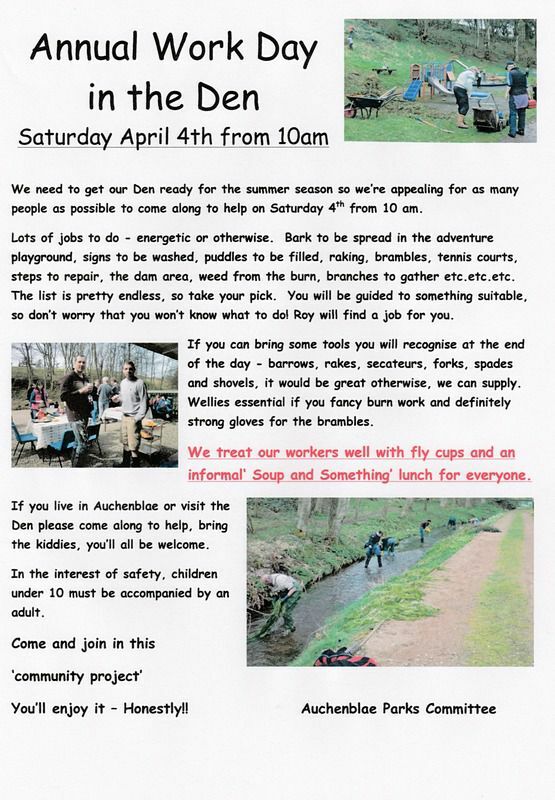 The day is held to get the Den ready for its summer season, with tasks such as weeding, spreading bark, repairs, washing and clearing brambles taken on by the volunteers. This year’s date is Saturday 4th April. If you’d like to take part or find out more, see the poster below, or visit the Den Facebook page.